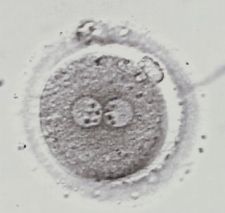 This is a zygote. It costs Americans ~$300 to kill a zygote. 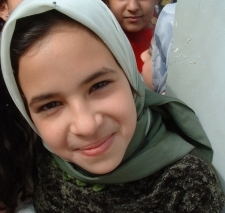 This is an Iraqi girl. It costs Americans ~$1.5million to kill an Iraqi girl. Some (many?) of you now undoubtedly think I’ve “crossed the line.” So think carefully: what is that line, precisely? And why have I transgressed? And do your answers to those questions give clues to what’s wrong with the abortion debate and what to do about it? I was thinking something along these lines a few years ago when I realized this: the idea that life begins at birth, and that life begins at conception are both equally ridiculous. For a country that doesn’t hold any specific religious arguments in any regard, it’s incorrect to legislate based on either of those assumptions. Then I looked up Roe v. Wade, read most of the decision, and found that they agreed. So the most compelling question we should have as U.S. citizens and possibly as Christians is… how should we stand on the abortion issue if we are forced to assume that life begins somewhere between conception and birth? It becomes kind of clear that both sides have it a little bit wrong, which is another feather in the cap of our stupid two-party wedge political system. Totally agree with this. This is why the abortion issue isn’t as big for me as it is for other Christians during this particular election. On a side note the money concept is somewhat irrelevant in my opinion, unless I get more details like….. How did you come up with the 1.5 million anyway? And maybe see some figures like how many abortions per year compared to Iraqi civilian deaths per year in the past 5 years? Bob: if you’re interested in reading another case, check out Webster v. Reproductive Health Services (1989). Justice Stevens’ dissenting opinion is pretty fascinating. Remy: the $1.5M figure is cost of Iraq war divided by deaths. It’s a very artificial figure, and probably near-worthless. As for abortions/year, it depends on who you ask. It’s over 1 million per year in each of the last few years. This is why, supposedly, I’m only obligated to vote based on abortion. But doing these kinds of calculations is obscene to me. As I wrote here, I don’t think the evil of Nazism, for example, is primarily about the sheer numbers murdered. Why do the two have to be mutually exclusive? Why can’t you look at both and determine that both have the right to live? Because that leads to “nuance” and “compromise” and “shades of gray.” And it’s hard for me to be a single-issue, binary-driven dogmatist if we introduce any of those. Always inspiring dude. I think I quote more from your blog than any others, with the exception of JesusManifesto.